Manure Tea - What is it? …How is it Made? …Is it Necessary? When the manure soaks in the nutrients (especially the nitrogen) it dissolves into the water. This water is then applied to the soil in the vegetable garden or containers. There is no standard formula for brewing up this tea. I’m sure if you consult 10 gardeners you’ll get 10 different recipes. However, the basis for using manure as a fertilizer in this manner is the same. Remove the pillow case and use the liquid as liquid manure feed. Should the Manure be Composted or Not? It should be composted first. Now I know that there are lots of you out there who think in the case of manure tea, there’s no need to compost the manure. But there is the risk of contamination if you don’t. Animal manure contains germs and bacteria that may be passed onto the plants. This contaminates the food in your backyard project that you’ve been working so hard on. Even the Maine Organic Farmers and Gardeners Association recommend that manure be composted first. They also recommend that liquid manure feed be applied to vegetables no later than 60 days of harvest. So it’s wise to play this one safe. Compost your manure before use. This tea is high in nitrogen. And Nitrogen happens to be the main nutrient of leafy plants. So it will work well with cabbages, lettuces and other leafy vegetables. The tea is also easy to make and cheap. Imagine the price for an entire bucket or garbage pail fill with nitrogen rich fertilizer. Now compare it to the cost of brewing tea. Tea is a whole lot cheaper, isn’t it? Finally tea also helps add organic matter in the soil. This encourages micro-organisms which in turn helps release more nutrients for the use of plants as well as maintain the health of the soil. And this is the basis for organic gardening. Tea is not without disadvantages. For starters…if you live in cities or suburban communities (for example) the availability of manure is very limited. You may have to buy some at home depot or any other garden store. This increases the cost of producing the liquid feed. I don’t think your neighbours will be thrilled if you decide to stockpile manure (especially if it gets wet in the rain and begins to smell). Don’t be surprised if they call the authorities for you. Thirdly…too much tea scorches the roots of plants. The nitrogen may damage the roots causing stunted growth and lower yield. Finally… if the soil is naturally acidic, then the addition of tea can kill your vegetables in a matter of 3 days. You see, tea increases the acid levels in the soil. Thus soil that is acidic can become too acidic for your plants. So is Manure Tea Necessary? Well, in my opinion it is not when applying it directly to the soil in your backyard vegetable garden. It’s safer to use composted material that doesn’t contain animal waste matter. 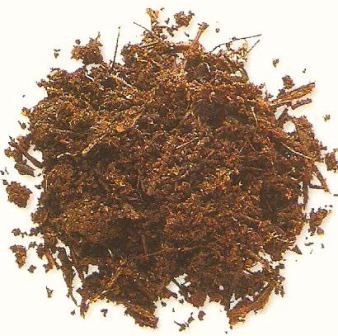 I may be more inclined to use the liquid manure feed in a container vegetable garden. You see, with containers…nutrients tend to be leeched out or washed away during watering. So there is always a demand for nutrients in container vegetable gardening. But even so…I would prefer use other liquid feeds like nettle tea and comfrey liquid before considering manure tea.